The Grand Finals are over. Over 10,000 fans turned up to see history being made as local heroes Virtus.pro took on Ninjas in Pyjamas. 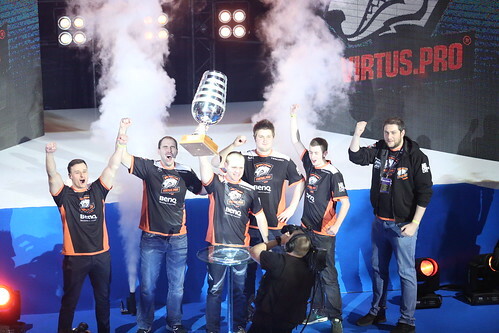 Virtus.pro’s recent performance meant that they were not an obvious favorite to make it this far in the tournament. However, the Poles were on a roll in Katowice, kicking out the big favorite Titan during the group stage, sending LDLC packing during the playoffs and winning win one of the most complete series in CS:GO so far against LGB eSports. Did the dream of a local winner in Katowice beat the skill of Ninjas in Pyjamas, who’ve definitely been showing off some of their old strength at the tournament? de_mirage: The first map of the Grand Final started with Virtus.pro taking down NiP one by one, with every frag met with cheers from the entire audience. After taking the following rounds, the fourth round saw Ninjas in Pyjamas making a comeback, taking the B spot and securing their first round of the match. As the game progressed, Virtus.pro demonstrated some excellent offense, with NiP being way too static to combat them. sNax and byali, both with far less experience of playing in front of such a large crowd than their peers, really stepped up and gave some great plays, picking up some crucial rounds for Virtus.pro. NiP was only able to take four rounds as CT, bringing the halftime score to 11-4. After winning the next pistol round, NiP somehow managed to make a miracle happen, taking the eco and two following rounds to bring the score back to 7-12. However, Virtus.pro once again fought back, with a big play from sNax resulting in two Ninjas walking by and allowing him to take them plus one more out. The Poles finished the half 16-9, making it look like NiP might not be the big favorite any more. de_inferno: Another pistol round ended in Virtus.pro’s favor, with the Polish taking the lead 3-0. NiP’s buy round didn't work for them at all, with neo and pasha stepping up and taking NiP down almost on their own. As NiP took two rounds in a row, the game started to get closer, but Virtus.pro struck back, taking two further rounds to bring the score to 8-2. The remaining rounds saw NiP only score a couple more, bringing four to their account in total, before switching sides.​ f0rest and his team finally got into the game, taking the pistol round and bringing the score up to a very close 11-9 - although Virtus.pro remained in the lead - before pasha and neo took the B spot, planting the bomb and winning a two on three that saw neo the last man standing at just 4 HP! This was a crucial round, bringing Virtus.pro back into the game as they won two rounds to bring the score up to 14-9. 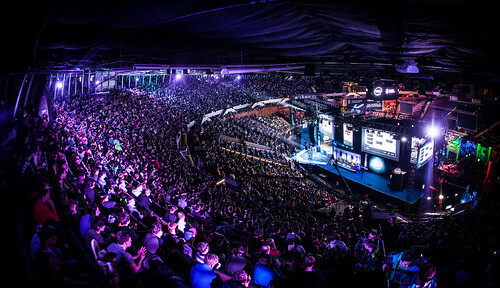 However, NiP was far from giving up the second US$250,000 final in a row. Xizt stood tall in the following eco, taking out three players who came for him at the A spot one after the other. However, this was the last round for the Swedes, with Virtus.pro going large once again and taking the game to 16-10 to win both the map and the series. This was one of the best moments in CS history. Over 10,000 fans in the Spodek Arena plus over 230,000 at home saw the underdog rise from the qualifiers all the way to the title and US100,000 of the total US$250,000 prize pool. TaZ, neo, pasha once again won a major tournament with more than well performing byali and sNax on their team. NiP was not able to take this pumped Poles, playing in front of a massive audience cheering their way. Congratulations to both teams. Get the official Ninjas wear at shop.ESLGaming.com!